Watchmen Director's Cut Gets Theatrical Release. So What'd You Miss The First Time? Zack Snyder's uncut version of Watchmen, which contains some pretty important scenes not in the theater release, is getting its own big-screen exposure. What&apos;s On Watchmen&apos;s Cutting Room Floor? According to Collider, Snyder announced the release date for the director's cut at a Blu-Ray presentation, at Warner Brothers. The film will play in theaters "the weekend before Comic-Con in Los Angeles, Dallas, Minneapolis, and New York," and, last we heard, will run at about 3 hours and 10 minutes. One of my biggest pet peeves of the film (among many) was that Snyder was forced to cut the death of the original Nite Owl. 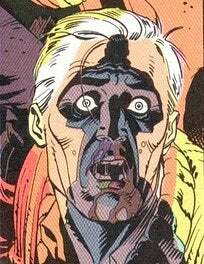 The brutal beat-down with his own award was a horrific moment that clearly demonstrated the current state-of-panicked-mind that the Watchmen world was in, and how different people responded to the tension. Unfortunately, Snyder was forced to part with the scene he had already shot due to time constraints, but promised it would be in the DVD. I'll be happy to see this back in, and hopefully it will help to flesh out the alternate universe and aid in making Ozzy's big decision feel slightly less out of left field (although still shocking to the core). Here's the page for those of you who haven't read it. Go read it, by the way. It should also be interesting to see how they loop the news stand buddies and the Black Freighter into the live action.